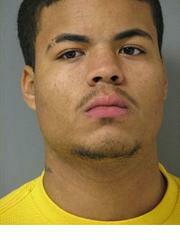 Newark- Delaware State Police burglary detectives are seeking the public’s help in locating Kendal A. Seth. Seth is wanted by the Delaware State Police for his participation in several burglaries that had occurred in New Castle County between December 25, 2010 and January 5, 2011. Detectives advised that Seth and several other subjects had made entry to several businesses by smashing the glass on either the windows or doors. Once inside the suspects removed cash from the registers, or the entire cash register from the business, and on one occasion, stole numerous lottery tickets.